The Metro’s all abuzz with the latest Popoy and Basha trailer Disney Pixar movie, Inside Out. 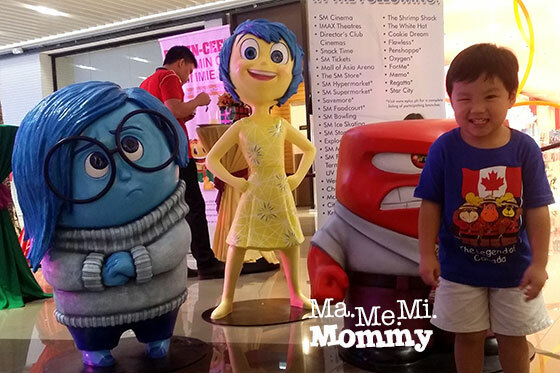 Joy, Anger, Fear, Disgust, and Sadness, the five main emotions (characters) of the movie, have been seen raiding bookstores and toy shops, adding more excitement to this highly anticipated movie. 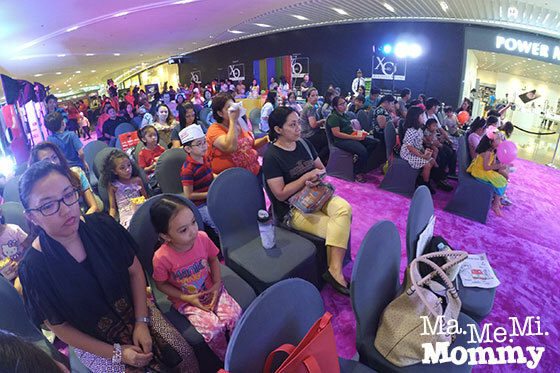 I was fortunate enough to catch the advance screening of Inside Out through Smart Parenting, SM Cinemas, and Snack Time’s event Express Yourself at the Activity Center of SM Aura last August 15, 2015. It was an afternoon filled with informative parenting workshops, pampering, snacks, games, and freebies! 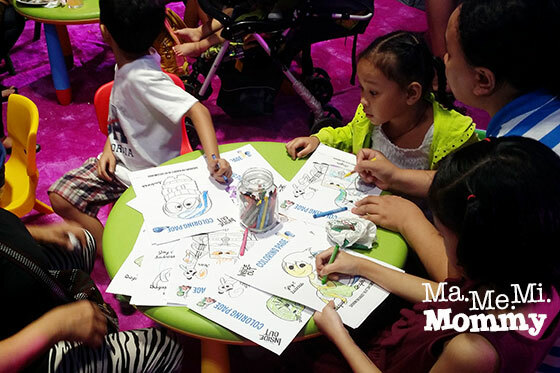 The kids have their own kiddie corner to enjoy their own activities. The parents were then invited to attend talks by seasoned speakers. 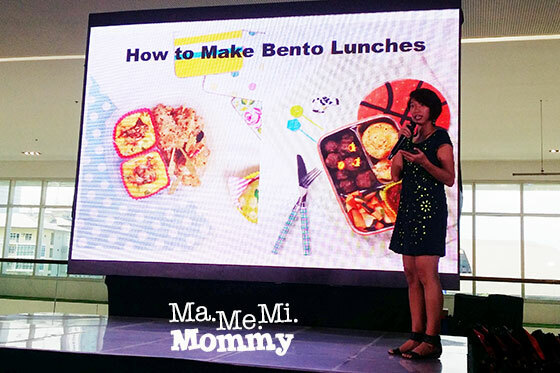 Roselle Miranda, Good Housekeeping‘s Food Editor, shared a workshop on How to Make Bento Lunches. 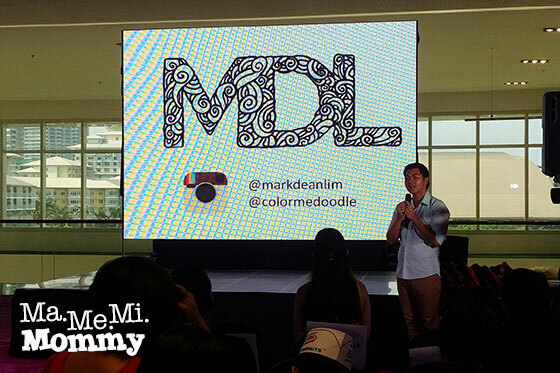 Mark Dean Lim of Color Me Doodle (the one that sells adult coloring books!) also gave an informative workshop on coloring. Apart from the workshops, there were also booths from different brands like BioEssence, Herbalife, Krispy Kreme, Snack Time, and SM Cinemas for the patrons to go around and try. To cap off the fun afternoon, we were invited to proceed to the cinema upstairs to watch the advanced screening of Inside Out. Yey! Introducing the mind of a young girl with five personified emotions—namely Joy, Sadness, Fear, Disgust, and Anger– these five emotions lead her through life as she encounters new and uncomfortable changes in a new city. Directed by Pete Docter and co-directed by fellow Filipino, Ronaldo Del Carmen, Inside Out received critical praise for its concept and moving story on family, which were successfully presented in an entertaining and easily understandable manner. I, for one, liked it. I even cried with it! I can’t say the same however, for my 4-year old companion. Never the type to say no, he was shaking his head when I asked him if he enjoyed it. I was not surprised. It was too deep and dramatic for him. I noticed also that there were a lot of kids who grew restless during the course of the movie, with a boy on our row asking to go home already halfway through it. I found the movie too complex for young audiences. It tackled memories, train of thought, imagination, all a bit too abstract for the younger patrons. It was a good venue however, to better acquaint them with their emotions. Their emotions now have form, official names, faces, bodies, and color. That, I believe is a good first step in cultivating an emotionally sound being. UPDATE: Nephews aged 8 and 10 super loved the movie. 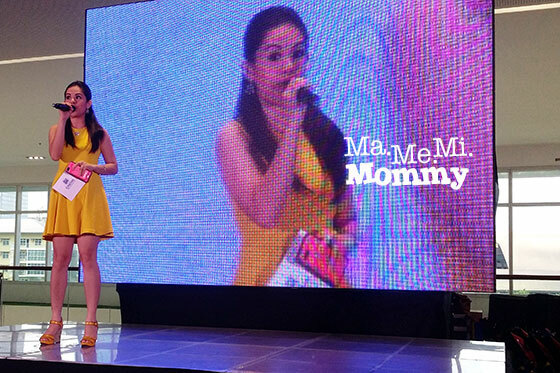 They totally felt the emotions, even shedding tears (Shh! Don’t tell them I shared that! :P). The movie is indeed very apt for pre teens who already have a mixture of feelings and watching the movie will help them understand their emotions more. SM Cinema is the leading cinema brand in the Philippines garnering up to 60% of cinema and exhibition in the country. Strongly supporting Disney, SM Cinema will be releasing “Inside Out” in its theatres beginning August 19. Buy your snacks and merchandise at Snack Time, found at any SM Cinema, to complement your movie-watching experience. 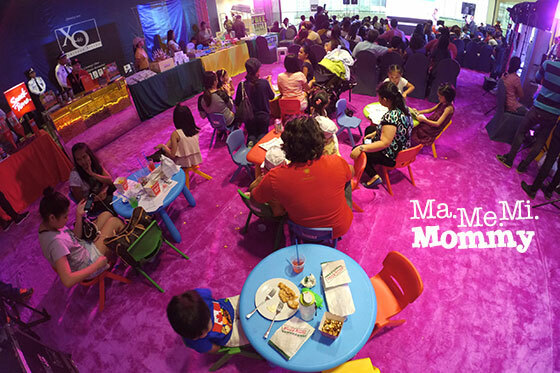 Pack up all your emotions and enjoy a day with the family at SM Cinema! 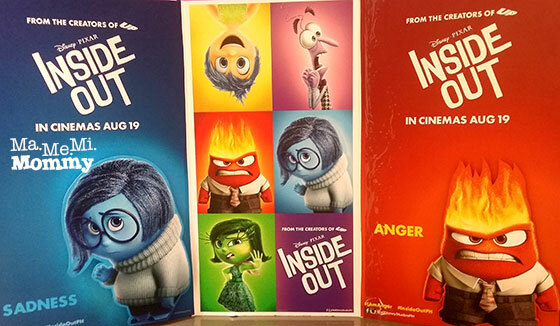 “Inside Out” will be out in theatres on August 19, 2015. Avoid the lines and buy your movie tickets now at SM Cinema ticket booths! For ticket inquiries, log on to www.smcinema.com. This is a perfect movie for the kids. At least they can somehow learn to balance their emotions and be oriented on the different kinds of it. I hope we can watch this the soonest. We’re going to watch this movie this weekend. I hope my 9-year-old can already appreciate this type of film. Ang dami ko naman nababasa na naiiyak dito sa movie na to, makes me curious! I’ve been telling my girl about this and she’s excited to watch it. Though I also think she’s too young to understand the concept. But fun movie, for sure! 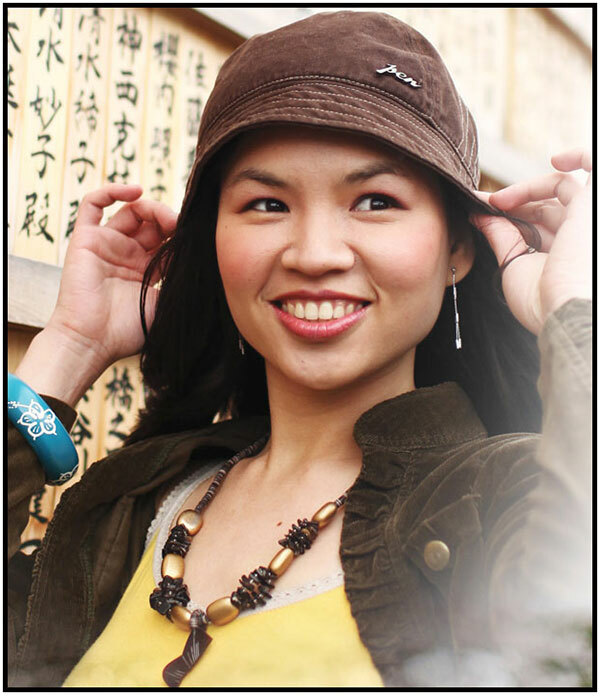 Rose Angelie recently posted…Why Do I Blog? Two Reasons. We’ve been waiting for this movie so the kids could get acquainted with emotions thingy. Hope to watch it after the exam week.